Oh, come on, Zara. Would you just give my wallet a rest for two mins? I feel like Zara parcels arrive at my house at an alarmingly fast rate—the delivery people probably think/know that I have a shopping problem. But that's what happens when you work at Who What Wear. We are a team possessed by the power of this brand. This summer, Zara has some trends that we know are going to lure both us and you in. To dig a little deeper, we went to our in-house sources to discover what was selling well this month. We're here to deliver to you the Zara items that are resonating with the coolest girls on our radar. 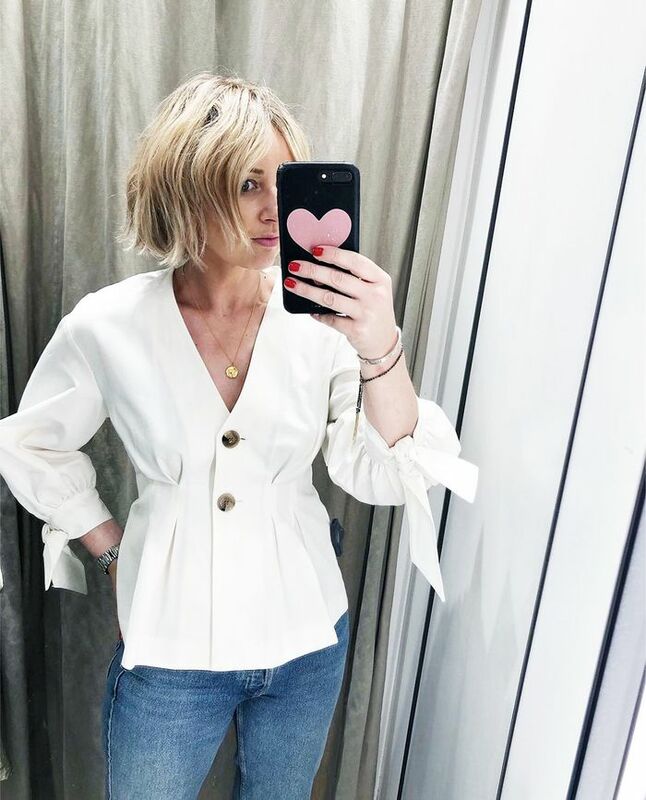 Style Notes: Emma Rose Thatcher just picked up this statement white linen blouse from Zara—and so did a couple of girls in our office. The look extends to other white and cream pieces being a retail success, like broderie Anglaise blouses and button-through dresses. The best blouse to wear with denim shorts. Yes to this with tan accessories all summer long. Style Notes: Mimi and Lauren of @thedevilswearzara know a flippin' good Zara bag when they see one. These, along with small black basket bags have been popular in store. Can't help falling in love with this. This is currently the front runner in terms of sold units. You could lie and say this is vintage. Style Notes: Anne-Laure Mais picked up this yellow floral dress from Zara recently, and it seems she's not alone in cherry-picking flower prints from this store. The styles below have all been flying out. This is actually a layering piece to wear over jeans. Just so dainty and summery. Style Notes: Hannah Lewis was the first girl to alert us to these super expensive-looking Zara sandals. The shoe styles that are selling the most all have a similarly pared-back vibe, even if they're wedges, kitten-heel ankle boots or something entirely different. These come in three colours, but the tan is the most wearable. The kind of ankle boots you can wear during spring and summer. Style Notes: Josefine knows that the earrings department is where it's at in Zara right now—specifically pairs that are big and gold. You'll see many similar styles below that we have heard are making tills ring. These would look great with your hair in an updo. Wear with a white blouse and watch them go. Are you buying into any of these trends at Zara? We couldn't blame you if so—they're all too good.